There are times when you want to make changes in your Bot, but also want to keep the old conversation as it is. You may want to try out different versions of a conversation and see which one works better. OR you just want to make few Bots which are quite similar to each other. In that case, you may want to just copy/clone your existing Bot as a new Bot and make changes in the new one, without affecting the old Bot. You can do that. 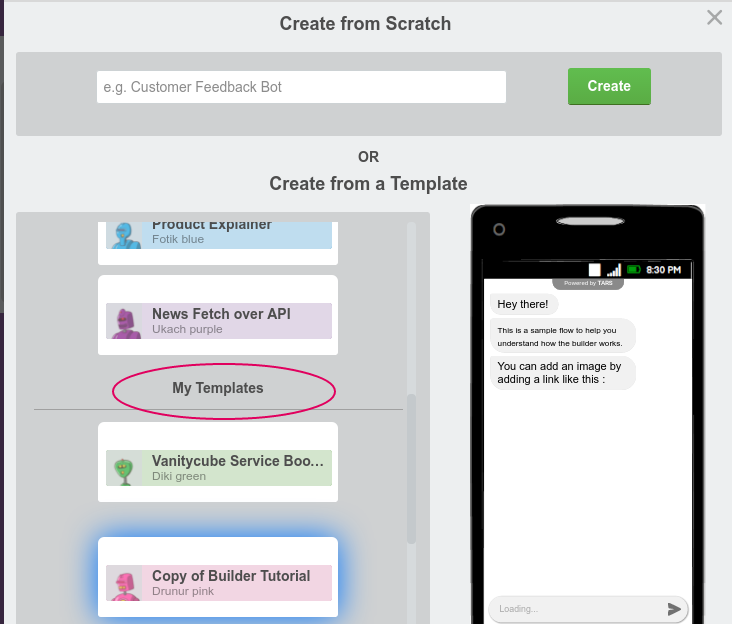 Simply click on the same Create a Bot button that you used earlier and look in the Create from a Template section in the modal (popup) window that appears. Down in that list of templates, you will see a section named My Templates. This will show all of your existing Bots that you have made. 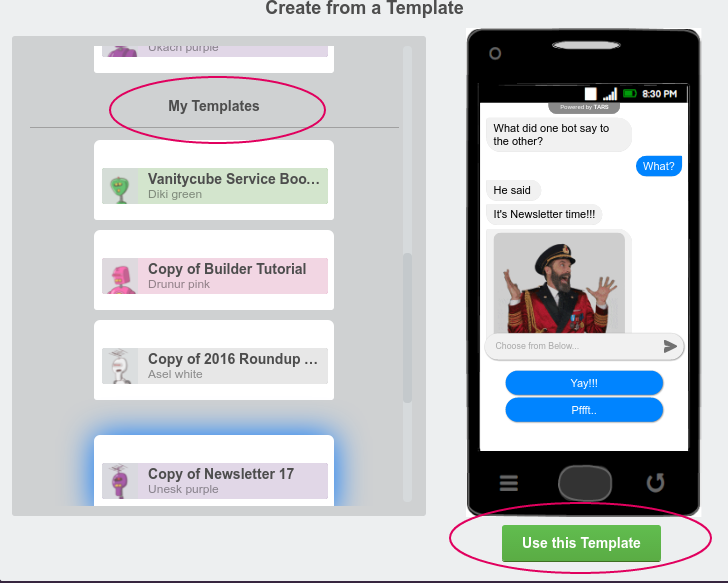 Simply select the one that you want to copy and click on Use This Template button below the preview Bot. That's it. You will be redirected to your new Copied/Cloned Bot page, where you can start making new changes without affecting the old one.